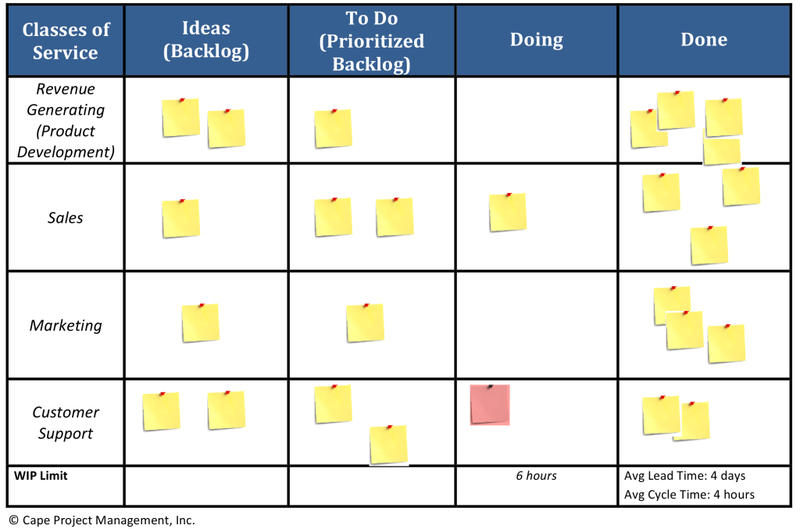 Using Kanban to run your start-up aka Stephen Covey was the first Agile Coach | Cape Project Management, Inc. Thank you for sharing your experience. I think you hit the nail on the head and explained the concept of “first things first” practically by using Kanbans in your day-to-day business. I agree that by focusing on the quadrant two, which is important activities that help one to achieve his or her personal and professional goals, really helps to stay focused and productive. I also observed that using Kanbans make it visual and fun to manage important tasks. However, some people are not used to Kanbans, thus feeling uncomfortable using them. What strategies/steps do you suggest for them to start embracing this tool? What is that transforming idea to get them started?